Work is underway to ensure the public procurement process is more robust, particularly for large-scale projects. TAOISEACH LEO VARADKAR has said there are “one or two contractors” that he would not like to see ever get a public State contract again. Speaking in the Dáil during Leader’s Questions today, where Varadkar faced more questions about the cost overruns of the National Children’s Hospital, he said government are speeding up the reforms of the public procurement process. 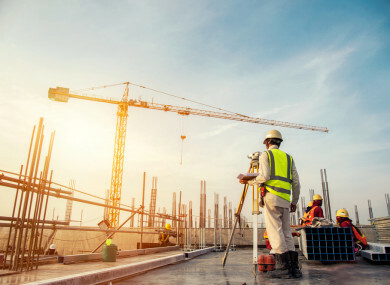 Outlining the details, Finance and Public Expenditure Minister Paschal Donohoe said work is under way to ensure the public procurement process is more robust, particularly for large-scale projects. As part of the changes, the minister said the government will now no longer “pre-commit to major bespoke projects until there is clarity on tendered costs”. “The government will approve major projects to be evaluated and designed, but there will no final commitment until after the tendering process is complete,” said Donohoe. In the future, the budgets for large, bespoke projects will include a significant premium for risks so that these indicative costings more adequately reflect totality of the costs. Higher standards will also be placed on advisory firms, with new rules to link payments to performance standards. “A number of high profile projects have highlighted issues with the performance of advisory firms. Therefore, we will bring in performance standards linked to payments in future contracts with those firms,” said Donohoe. “We will explore new mechanisms for the management and recording of performance on projects. Therefore we will investigate mechanisms that can be used to ensure that companies who fail to meet those performance metrics can be used to penalise firms in future tender evaluations,” said the minister, adding that new measures will be developed for tender evaluations to minimise the risk associated with abnormally low tender prices. Speaking in the Dáil, the Taoiseach spoke about the issue of low price tenders in relation to future government contracts. Varadkar added that government are considering whether it should factor in “optimism bias and promoter bias, whereby projects that people want to see delivered tend to give rise to optimism about the real cost”. He said government particularly wants to look at contractors’ “past form and public service references”. However, he outlined that current EU procurement law does not allow the government “to ban people from tendering”. Indicating how the government might get around that aspect, he said, perhaps a work public service reference or a past form clause looking at previous projects could be inserted into the scoring system. Email “'One or two' contractors Varadkar would not like to see get a public State contract again”. Feedback on “'One or two' contractors Varadkar would not like to see get a public State contract again”.